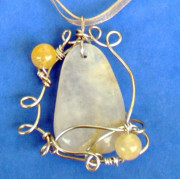 Welcome to my world of creativity with beach stones, pebbles and rocks! I guess you'ld like to learn a few facts about me, the owner of this website, so I've put together this little piece of information. My name is Maria Chatzi. I live in Thessaloniki (Northern Greece), a big and beautiful seaside city with a small town feel. 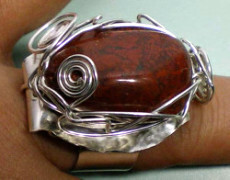 I’m a craft designer and crafter, a self-taught artist (“art-maker” is what I usually call myself), a writer and a poet. I am a graduate of Aristotle University of Thessaloniki, where I got my Bachelor's Degree in Teaching English as a Foreign Language. I have worked mostly as a private tutor for learners aged 9-18 (studying English for academic purposes) but have also taught in Foreign Language Learning Schools in my country.I also teach creative writing and craft workshops at public libraries in my area, as a volunteer. I’m married to a rural and surveying engineer, Tom, who's also a passionate rockhound and lapidarist, and have two daughters, Joanne (who is a Chemical Engineer) and Katy (who is a PhD student in Physics) both of whom are very talented in art and crafts. Creativity has played a dominant role in my whole life. I’ve been writing short stories and poems and making crafts since I was ten. As a child, I lived in a house with a garden, where I’ve learnt to love nature, and a yard to play and experiment. Our basement was full of old stuff that was never useless, as my mother (who was a dressmaker, and also lined leather jackets and fur coats) repurposed and recycled almost everything. So there were plenty of cost-free crafting materials in all rooms, even in the kitchen and the bathroom. How I came to writing tales for children and poetry is another story - perhaps it was an inner need to express my feelings and give color to some grey moments. Perhaps it was a sign to start discovering my life’s purpose. Or perhaps it was just meant to be. The fact is that creativity has always helped me get throught the difficulties of life. I have always strongly believed in the benefits of raising kids with an educational background in creative writing, arts and crafts. Since my daughters’ early childhood years I made it my priority to educate them myself on such subjects of major importance, which were unfortunately missing from school curriculums. For as long as they were in primary school, I organized creative birthday parties and gatherings with their friends, all including creative learning, fun activities and games. I’ve always kept our home fully equipped with all sorts of crafting and art-making materials. Although I didn’t know at that time how crucial it is to help develop a child’s right brain as much as the left brain, how much this development is related to a life of balance and happiness, based on my own experience with creativity, I felt I was doing the right thing. Before the economy crisis in my country, I owned a crafts and jewelry studio where I’ve spent some of my most creative time. I have acquired a great number of skills through tutorials and seminars, some paid but mostly free (online and offline), as well as by reading books on crafting and art techniques (some of which I’ve bought and some of which I’ve borrowed from local libraries). It did take a long time, lots of hard work and experimenting, and a great deal of persistence – but learning and creativity have always been my two big passions. I’ll probably be making stuff and writing till my 99th birthday (maybe longer?)! Beachstonesinspired.com is the result of combining my passions for learning and creativity with a third one: my love and appreciation for nature. Nature has been a powerful guiding light and a healing source in my life. I believe it is where all beauty, health and wisdom come from. This site was born with a desire to share my knowledge and experiences with you and to promote awareness of the fact that beach rocks and pebbles could make a richer and simpler life for you and your children. 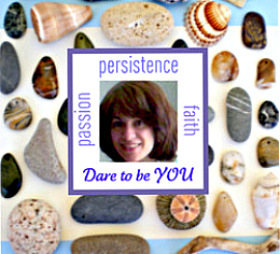 My mission is to help you (re)discover beach stones and pebbles. The (re)discovery of beach rocks and pebbles will let the real and creative You shine and brighten your own life as well as that of others. This is the way to prosperity and happiness. Beach stones are treasures. May your soul and mind experience the magic transformation that follows this awareness.